I’m currently a head football coach…I took over the program last January after being on staff for the previous 10 years. We had a great offseason and a solid summer. We started the season off with a come from behind victory. Everything was going well. However, these past 10 days have made me question everything. We had a below average week of practice last week and got crushed by our arch rival. Our best player got ejected for fighting and…his brother also received a personal foul and cursed me on the sideline when I tried to reason with him. We have had an equally poor week of practice this week. Since I took over, my main concern has been trying to change the culture here. I am at a low socioeconomic urban school. 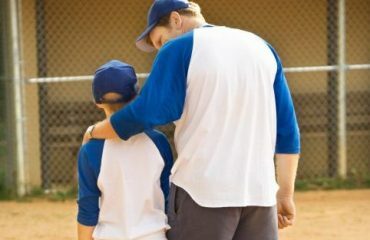 Many of my players have no father figure in their life. Many of them are poor. Many of them don’t eat lunch. Many of them aren’t disciplined at home because their single mothers are just trying to survive. I knew all this coming in, so my main goal has been trying to get them to be better humans. Wouldn’t you want a coach this dedicated to your kids to be their coach? I know I would. Coach B cares about the person, not the athlete. He sees sport as a vehicle that will give them the life skills to better their life situation. For him, it is not about the wins and losses, but the willingness to compete the right way. This is a great coach. So how can we help? Recently I was listening to one of my favorite podcasts, “The Talent Equation” with Stuart Armstrong. Stuart’s guest was his coaching mentor, Mark Bennett, M.B.E. Mark is the founder of Performance Development Systems Coaching, and a mentor to high-performance and professional coaches across the globe. Mark is a former British Commandos trainer and originally developed his PDS system as a way to shape the behavior of elite soldiers. Since then he has worked with professional coaching staffs from the NBA, professional rugby, golf, and elite NCAA teams, shaping coaches so they can shape their athletes. Performance is a behavior, NOT an outcome. 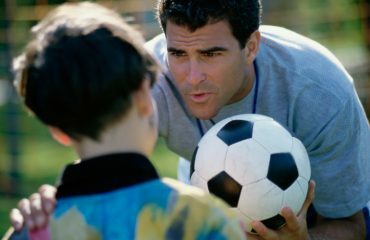 We get so focused on scoreboards and standings that we lose sight of the foundational element of coaching: shaping behavior. When we get the behavior right, when we get our athletes to take ownership of the standards for each and every little thing they do, the magic happens. Athletes rise to the standard. They define what are acceptable levels of focus, effort, and execution. When you get the behavior right, the scoreboard starts to take care of itself. Athletes control the controllables, make more effective plays, and those small plays add up to big wins. Coaches, first and foremost, we are shapers of behavior. When we get the behavior to the required and agreed upon standard, results start taking care of themselves. This is my advice to Coach B: focus on behavior first. They have no idea if learning took place. Just because we taught it, doesn’t mean they learned it. The coaches have no idea if the athletes were listening. And often, when the game gets tight and the pressure ramps up, their teams crumble under the stress of focusing on the scoreboard. They revert to the old norm. Players fight the opponent. They yell at officials. They argue with each other. They stop controlling the controllables, and eventually they lose regardless of talent. Great coaches and elite athletes understand that performance is a behavior, not an outcome. It is doing the little things correctly, moment to moment, day after day. But how do we do this in our teams? Next, before every practice, you must get your athletes to own the level of performance – the behaviors – for the day. Mark Bennett recommends that his coaches have the athletes define what acceptable, unacceptable, and exceptional looks like for the chosen activity. This includes not only values based things such as effort and communication, but tactical and technical elements such as spacing, movement, speed of play, and whatever else you are trying to teach. The athletes define and own what is good enough, what is great, and most importantly, what is not good enough and warrants a stoppage of play and a reset. Bennett challenges them by asking “how long can we sustain acceptable and exceptional,” thus giving the athletes a goal to shoot for. The activity starts and continues as long as the behavior level is acceptable or exceptional, and stops when the level becomes unacceptable. Usually, your players will overestimate how long is sustainable, but over time, with consistent reinforcement, their behavior – and thus their performance – starts to change. Most importantly, the athletes own this process. They define the standards, they define acceptable behaviors, and when it all clicks, they identify unacceptable, call each other out on it, and hit the reset button and do it right. 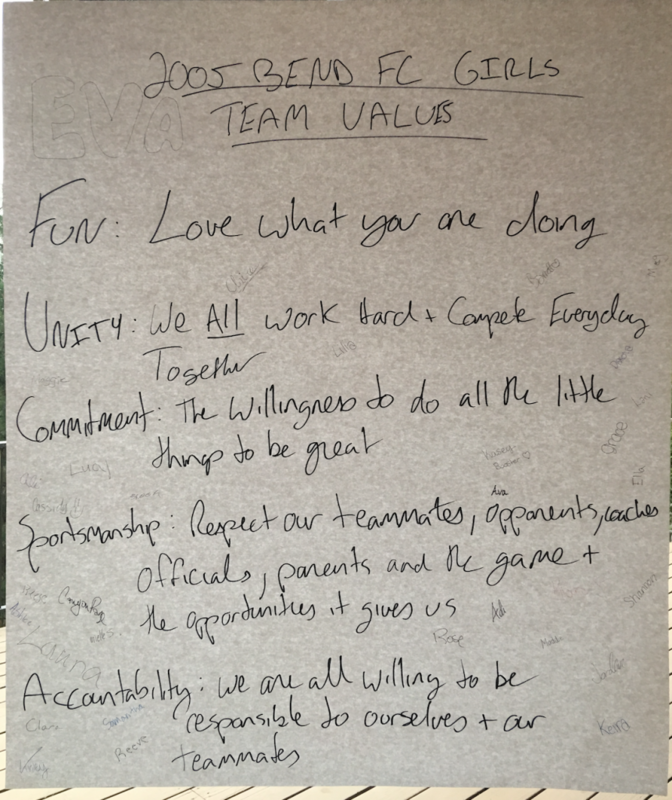 Have the athlete define the team values, and identify which one he or she is not adhering to. Many coaches do this in front of the team for the benefit of 1 or 2 kids. Do it individually so that the specific kids know you are speaking to them, and their teammates don’t think they are being called out for the actions of a few. 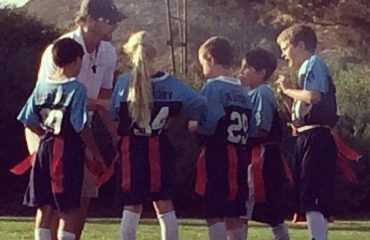 Help the athlete see their behavior through other people’s’ eyes. “How do you think it makes your teammates feel when they are giving maximum effort and you are going through the motions?” “How do you think it makes your coaches feel when we rely on you as a leader and you disrespect your teammates?” Most kids never think of this. Help your athlete change by asking “Is that who you want to be?” If the answer is no (which it is 99% of the time) ask them “how can I help you change?” When you see their new behaviors, catch them being good. If you want the good behavior to continue, you have to acknowledge and reward it. Sadly, you will from time to time have individuals that will not get on the bus, and you have to make a decision whether it is time to let them off and move on without them, regardless of talent. You must understand culture trumps talent in any environment, and even the most talented players will slowly destroy an entire culture if they are not a good fit and they are behaving counterintuitively to the cultural standards. Finally, shaping behavior is not a sometime thing; it is an all time thing. As Bennett says “Changing behavior takes time, and the quickest way to change behavior and make progress is to do it every time you step on the field, not just once in awhile.” It is confusing for kids when failure to meet the standards is ignored by coaches time after time and then when coach is having a bad day, he loses it and yells at everyone for the same behavior that was OK the previous week. If it is not OK, we must say so. If we let it go today, we are saying that it is not really a standard. You condone what you do not confront. You must intentionally cultivate the right behaviors and you must intentionally confront the wrong ones. Coaches, our team’s performance is a behavior, not an outcome. This is my advice to the coach who wrote us last week. How we play is shaped by our standards and our accountability. Identify your standards, agree upon them and define them with your team, and agree upon what happens when we fall below the standard. Hold everyone accountable, and get them to hold each other accountable. Identify the individuals that still don’t get it, and either get them to change their behavior or get them off the bus. When you realize that performance is a behavior, the result takes care of itself. Good luck Coach B, and to all of you as well.